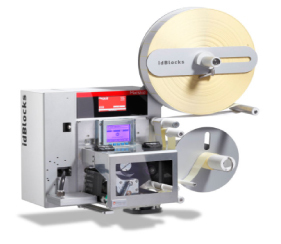 The idBlocks system has a wide range of label applicator modules to meet the most demanding market needs. The design of the applicator system makes it possible to place labels in any position, at different distances and adapted to the surface of the product. 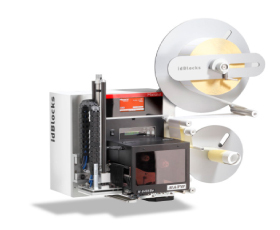 idBlocks labelling equipment can be fitted with a range of standard accessories including low consumables alert, IP Protection screen, scanners etc enabling them to be easily integrated within production lines and in different environments. Palet: Pneumatic (1 or 2 stops) and servo-lineal. Pallets applicator for 1, 2 or 3 sides: frontal, side & back. Several cylinders (Pneumatic or Electric) to reach both faces of the pallet. Application when the pallet is stopped. Stroke length: 800 & 1000mm. PAD adapts to irregular surface. PAD with 180º turn for frontal & backsides. For 2 sides labeling: 1 pallet stop. For 3 sides: 2 pallet stops. Cabinet & Barcode scanner on PAD. Application on top, bottom or side. Auto detection of product distance: sensitive pad. Application with the product stopped or in movement. High power blowing system to ensure a good label application. Application: frontal or back sides. Same characteristics than Tamp Blow. Application on movement on top, bottom, side & Back corner (pusher). Same machine for different label dimensions. Productivity: 20 labels/min (for label 100×300 mm). High production: Prints next label while is applying. Optional: cylinder to reduce distance with the product. idBlocks is the most versatile labelling machine on the market. It is produced with the highest quality materials. 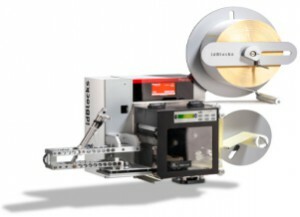 Thanks to its powerful labelling system by air ejection, these labellers can produce up to 200 labels per minute. Modular system: iidBlocks is composed of removable modules which are easily attached to the machine, allowing a fast replacement with different modules. 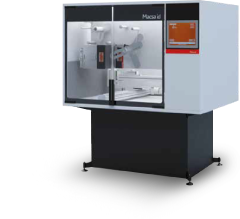 Versatility: its modular design makes it possible to offer a wide range of standard models.. Reliability: its high-quality components and devices offer a great reliability and optimum performance. Adaptability: the possibility of using OEM printers makes it possible to easily adapt this labeller to any printer module on the market. 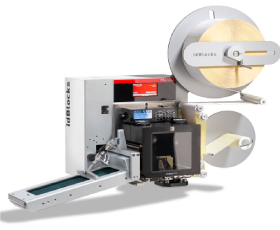 We offer a wide range of label printer applicators to meet the most demanding needs on the market, which will allow you to place labels on any position, distance or surface. SERIE 10:Pallet: Pneumatic (1 or 2 stops) and servo-lineal. SERIE 20: Lineal – Tamp Blow. .
SERIE 30: Frontal – Tamp Blow. .